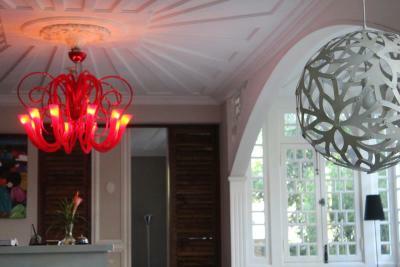 Lock in a great price for Villa Angelique - rated 8.8 by recent guests. This small hotel is in a perfect place to see the centre of St Denis and do a little shopping before taking a flight back home. Its only 30 mins or less easy drive to the airport. You can just stroll out of the hotel, see the sights: museums, the park, the Barachois and do some shopping right in the centre. Its a small and quiet hotel. 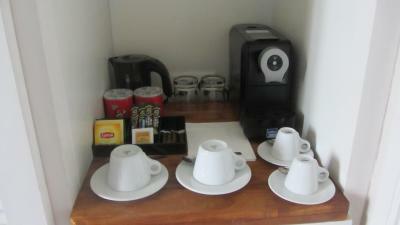 Unusually for Reunion, they provide a nice tea and coffee station in the room. 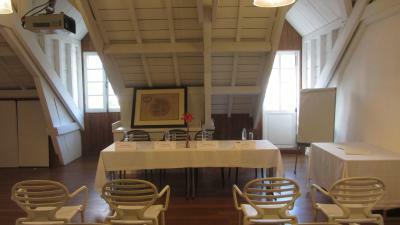 The building is old and full of character, but you have plenty of mod cons in the rooms- which are a very good size. 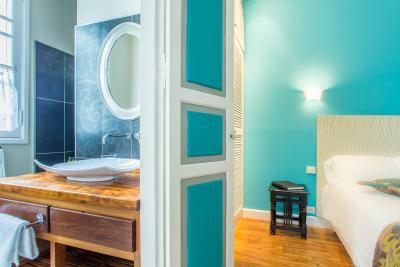 Delightful hotel in Creole style house in the town centre with lovely relaxing garden. 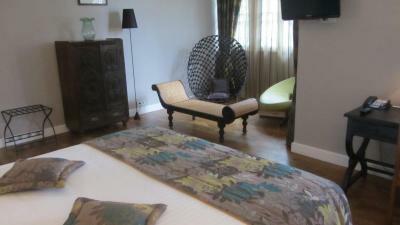 My room in an annexe was quiet and well presented. All the staff were friendly and helpful. 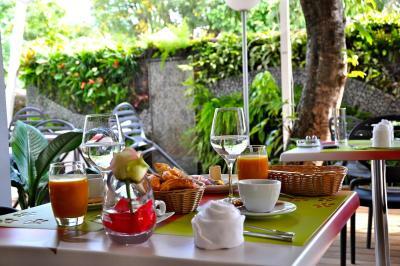 Continental Breakfast was served at the table on the dining room terrace, which was nice as I don’t like buffets and included baguette, croissants, jam, cheese, salami and crude ham plus fresh fruit salad. Yoghurt and orange juice were available. Dinner at the hotel was excellent. 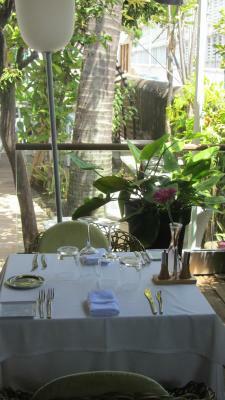 Small menu selection, but everything was well cooked and the service was attentive without being intrusive. The Grand Marnier soufflé was to die for. 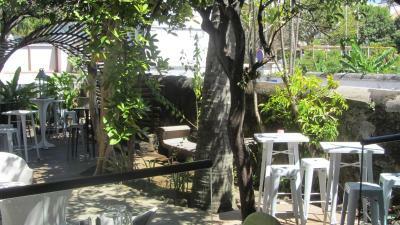 Excellent location close to the shops,restaurants museums and botanical gardens. There is a bus stop outside the hotel for those without a car. Excursion providers will pick you up at the hotel. 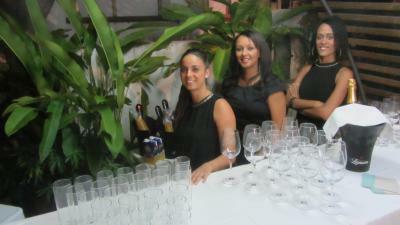 The staff always ready to help and make you feel comfortable. The service is good. 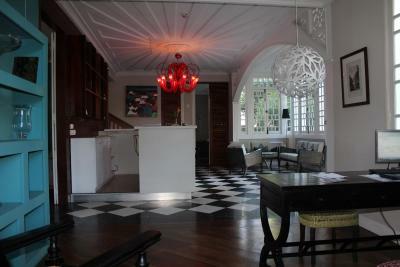 Converted from a colonial mansion, Villa Angelique is beautiful and comfortable. The staff were helpful and friendly. The reception at the hotel had a really nice and friendly staff (and we were hiking before so we didn't look our nicest). 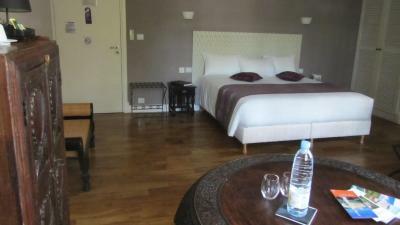 Very comfortable and large room (we had a suite), with nice, soft, big bed. 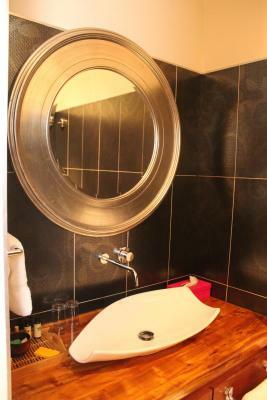 the bathroom was also very nice (walk in shower and seperate toilet).The soap in the bathroom was all local (which I do value). Rooms and hotel was very clean. It was absolutely no problem to leave our luggage at the reception after check out! 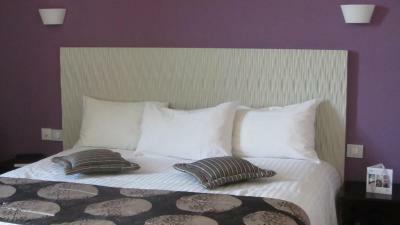 great location in the island very easy to explore the island from st dennis hotel is very very nice a real butique hotel with very very personal service room is large and nice decorated as the whole hotel the owner is very prosfessinal and very helpful ! freindly and real gentelman Sonia is great as well and helped us with every question and to resrve seat in resturants around we sated in the suite,that has very nice decoration beds is very comftable! 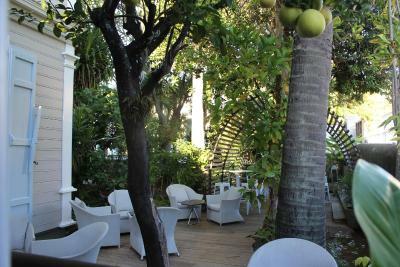 prefect hotel in perfect location is st dennis with very value for money price! 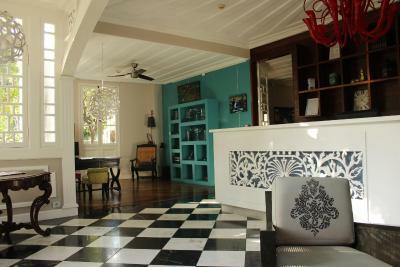 Charming colonial style building that has been tastefully updated. 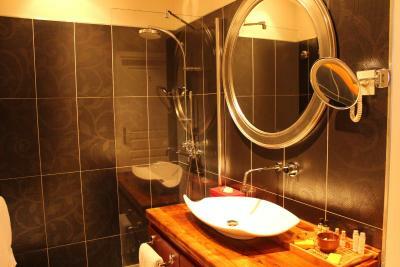 Perfectly situated on the main Rue de Paris boulevard. Rooms are spacious and well appointed. Decor is charming. The location is perfect for those wanting to do shopping and seeing the centre of St Denis, plus it's only 20 mins from the airport(traffic permitting). 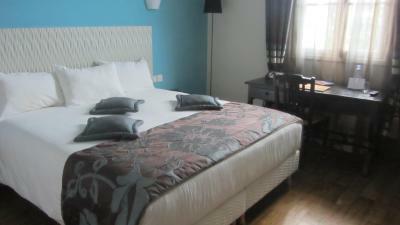 The room was large with good wifi, tv , tea and coffee making facilities and nicely decorated. 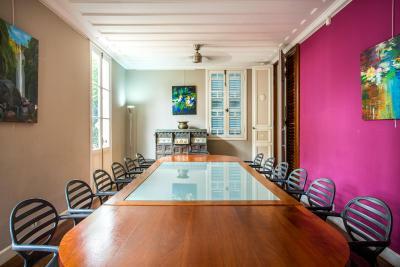 One of our top picks in Saint-Denis.Villa Angelique is a historical Creole-styled house with garden, located in the centre of Saint-Denis and in the famous Rue de Paris. Roland Garros Airport is within 15 minutes' drive from the airport. 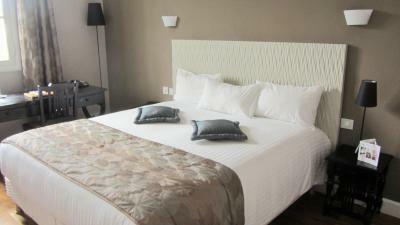 The rooms at Villa Angelique are equipped with air conditioning, a TV, a minibar, coffee-making facilities, and safe. They offer a walk-in shower, bathrobes and WiFi. 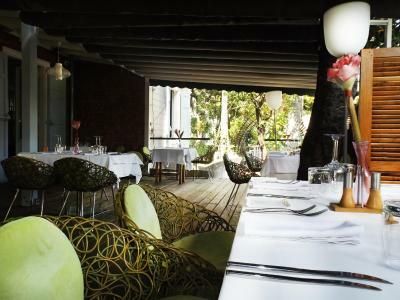 The restaurant offers a lunch and dinner menu and evening entertainment is offered on Friday and Saturday. 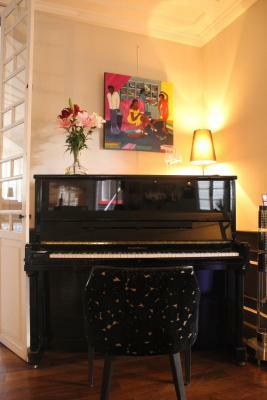 This property also has one of the best-rated locations in Saint-Denis! Guests are happier about it compared to other properties in the area. 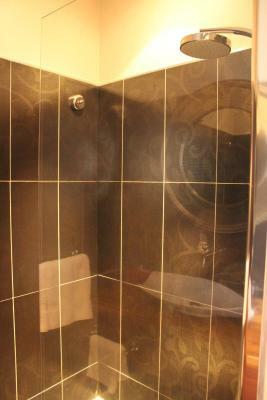 This property is also rated for the best value in Saint-Denis! Guests are getting more for their money when compared to other properties in this city. Villa Angelique has been welcoming Booking.com guests since 22 Mar 2016. 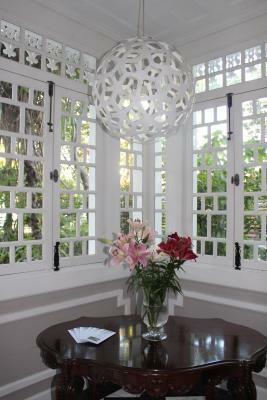 When would you like to stay at Villa Angelique? 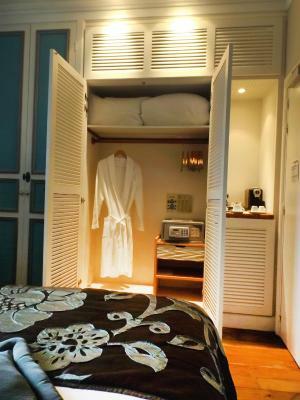 This twin/double room has a electric kettle, private entrance and minibar. 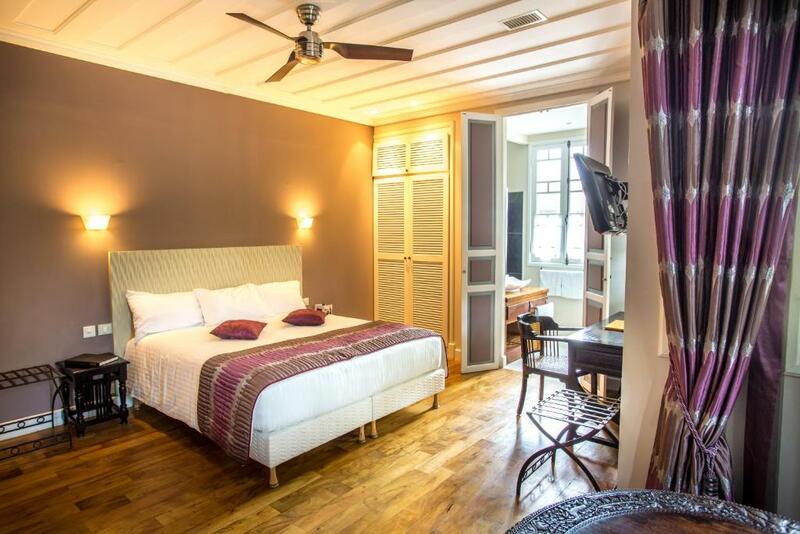 This twin/double room has air conditioning, minibar and private entrance. 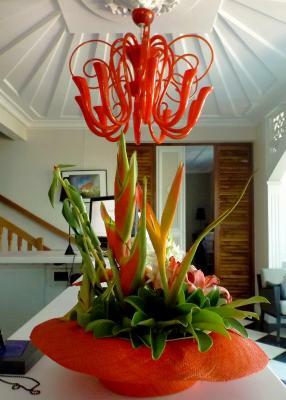 VILLA ANGELIQUE is classified as a 4 star hotel. 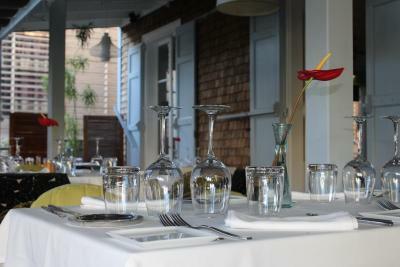 It is a typical Creole house registered among the Historical Monuments of La Réunion. 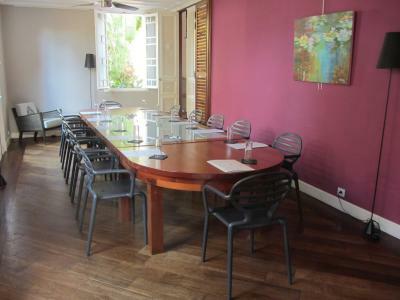 Ideally located in Saint Denis business district in the famous "rue de Paris", only 8 km from the airport and 20 minutes from the west coast beaches. The hotel comprises 5 rooms "de charme" and 2 junior suites, 2 seminars rooms and a typical creole garden. 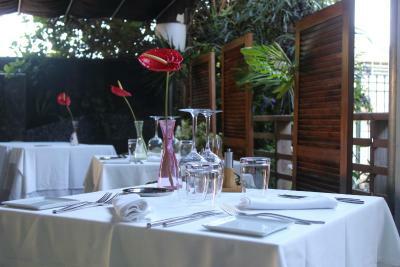 ; The restaurant proposes besides the "carte, a menu for lunch at 26 euros and in the evening a menu at 44 euros. 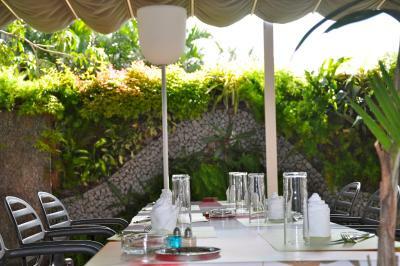 In both cases you have a choice with 2 starters, 2 main courses and 2 desserts. House rules Villa Angelique takes special requests - add in the next step! Villa Angelique accepts these cards and reserves the right to temporarily hold an amount prior to arrival. There was nothing in particular. 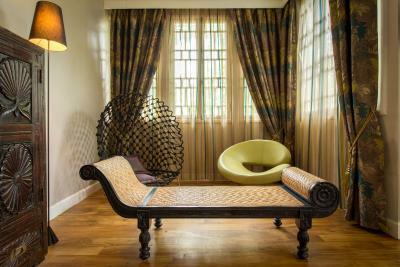 Really loved the place and the colonial ambiance. 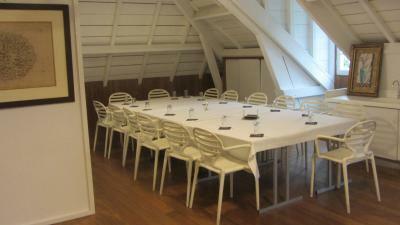 The room was spacious and I could have just easily spent the whole day in it. Staff were great especially the Director who was always on site to help. Property is a little worn down. 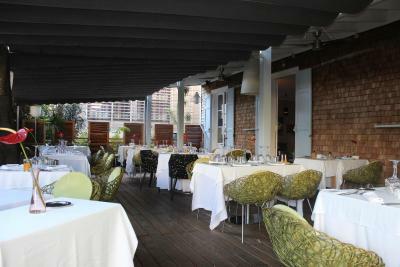 Staff were great and food service was excellent. Just being picky but fresh orange juice at breakfast would have been appreciated. I was there for a week and was served exactly the same Continental breakfast each morning. Some slight variation at least would have been appreciated. We would've liked to have a drink before we went to bed but the prices were just too high for us (I can expect a rather expensive dinner, since it is a chique hotel, but even for a glass of water you had to pay 4 euro, that seems a tad too much for me). a tiny detail: maybe a bit more toiletries in the bathroom (eg a toothbrush and toothpaste, a little comb perhaps, since now there was only a body/hair wash, handsoap and bodylotion). Although it might ofcourse be that you can ask for a little kit at the reception, which we didn't do since we had our toiletries with us. Small room size, but adequate. 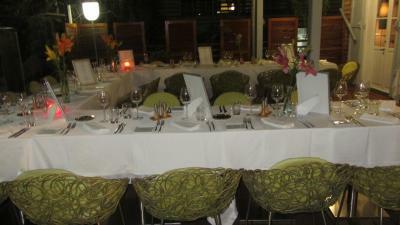 Excellent dinner at the hotel with great food quality and service. Great location for the city. Restaurant is a little pricey.